Besides a vast range of standard fiber optics sideral effects to blend in starry skies, Advanced manufactures custom effects from 1,000 to more than half-a million points, according to the specifications of Architects and designers in 82 countries. 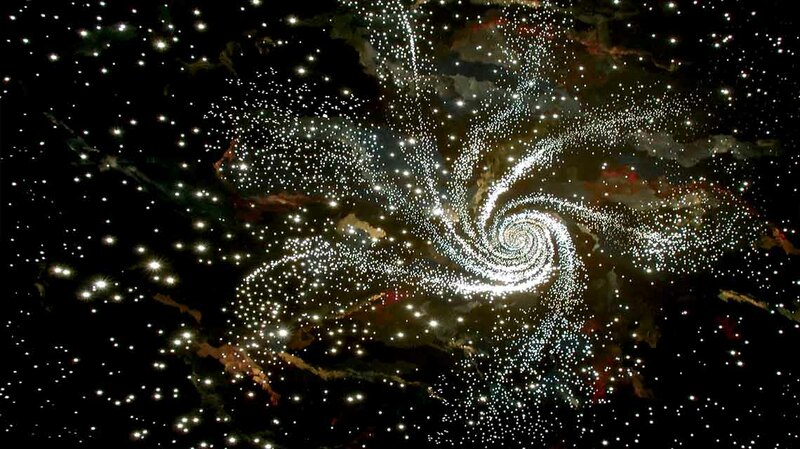 Nebulas are one of the most spectacular effects that can be created with fiber optics. The sample below is formed with 16,000 points and covers and area of 9m2. HBF201, 0,5mm high performance bare fiber. AHI illuminators with custom animation drums and 100W MR16 lamps.